Tasmania’s first experiment with grapevines resulted in a wine that was shown at a Paris exhibition in 1848. However, after this early start, the island’s wine production all but disappeared until the 1950s. 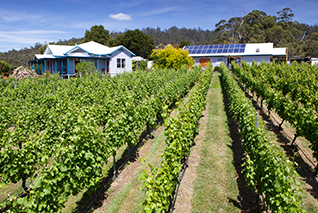 Today, Tasmania enjoys a global reputation as a leading producer of premium cool climate wines, winning high praise and accolades from wine judges and critics alike.